PARIS (Sputnik) - French security services have detained as many as 4,532 people since the eruption of the so-called yellow vest protests, local media reported on Monday. A total of 4,099 of those detained were taken into custody, the BFMTV broadcaster reported, citing its sources in police. According to the media outlet, the arrests took place not only during massive weekend rallies, but also during smaller protests on working days. France has been witnessing a wave of mass protests since mid-November, when the so-called yellow vest protesters — named after the obligatory attribute of French drivers — took to the streets to protest rising fuel prices and a planned hike in tax on diesel and carbon fuels. The yellow vest rallies have been marked by violent clashes with police officers, who have used tear gas and rubber bullets against the protesters. 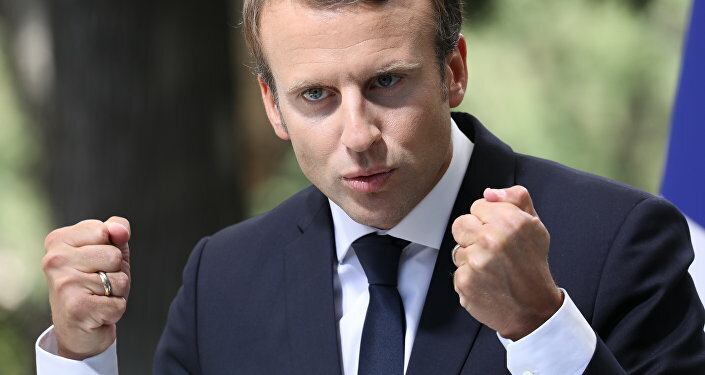 Earlier on Monday, French President Emmanuel Macron declared the state of economic and social emergency in the wake of the protests.